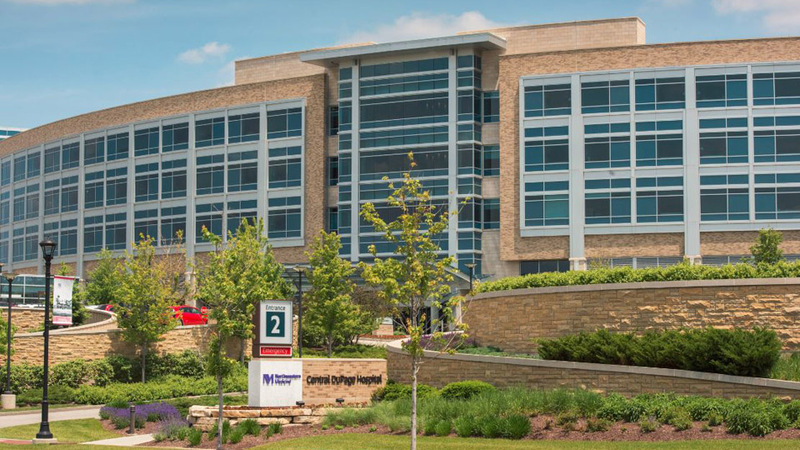 Northwestern Medicine Central DuPage Hospital is a wonderful place for your labor and delivery. From the moment you arrive, you’ll be provided with skilled services and care options to make your childbirth experience comfortable and personal. Preconception planning: Your OB/GYN physician can provide a preconception exam to assess your total health, find and manage risks that could complicate pregnancy, help you adopt a healthy lifestyle and add vitamins critical for a baby’s development. If you have certain risk factors for genetic disorders, you’ll have access to leading-edge genetic counseling. Board-certified genetic counselors can help you learn about inherited disorders, identify your risks and guide you through a personalized plan for your pregnancy. Learn more about prenatal genetic testing. Comprehensive prenatal care: In addition to meeting your needs for prenatal care, CDH offers a host of perinatal resources including programs and classes to keep you healthy, informed and prepared for pregnancy, childbirth and parenthood. For peace of mind, maternal fetal specialists are here to care for any complications that arise. The Maternal Fetal Medicine team at CDH offers services for added assurance of mother-baby well-being during pregnancy. And certified diabetes educators will help you control issues related to gestational diabetes. A personal childbirth plan: The specialists at CDH want to create a personal, memorable childbirth experience for you and your family. As your delivery draws near, consider your preferences for family participation, pain management and breastfeeding so your care team can help provide the experience that’s right for you. Being pre-registered saves you a step once you go into labor. Take this opportunity to fill out your pre-registration information and review our pregnancy guide. High-comfort, high-tech birthing suites: When it’s time for your baby’s arrival, you’ll settle into a private, homelike labor-delivery-recovery suite equipped with the latest technology. Experienced labor and delivery nurses offer the care and support you need through every stage of childbirth, and maternal fetal specialists are standing by to handle any complications. Pain management options: During labor, you’ll have a variety of pain-relief options, including natural methods as well as medications and anesthesia (typically an epidural) epidural administered by anesthesiologists, who are available on site 24/7. Special deliveries: The specialists at CDH are fully prepared to handle multiple births (such as twins, triplets or quads) and emergency cesarean deliveries. For added assurance, an obstetrician, anesthesiologist and neonatologist are on site 24/7 to meet your needs. In addition, the Level III NICU at CDH is staffed by more than 140 board-certified pediatric specialists from Ann & Robert H. Lurie Children's Hospital of Chicago​2. Excellent nursing care: After your baby is born, you’ll move to a private mother-baby suite. You’ll have a personal mother-baby nurse to care for you and your baby, answer any questions, provide education and connect you with any needed resources. Personal choices, advanced resources: We encourage you to have your baby stay with you in your room. All of your baby’s care can be provided in your room, and you may participate in the care as much as you wish. Should you require some quiet time to rest and recover from delivery, the nursery is available 24/7 to provide care for your baby. Your nurse will be able to assist you with any of your individual needs. You may have visitors any time of the day or night, or you can also choose to limit your visitors. Simply let your mother-baby nurse know your preference. Breastfeeding support: Certified lactation consultants are here to provide education, resources and ongoing support to help you have a successful breastfeeding experience. CDH supports breastfeeding. Learn about our lactation services and infant feeding policy. Infant security: Keeping your baby safe is a top priority at CDH. Entrances to all units are secured, and infants wear tamper-proof bracelets that enable an automated infant protection system. CDH also has extensive surveillance equipment and trained security personnel. A beautiful picture of your baby: To capture those first precious moments with your baby, CDH arranges for professional photos of your newborn to be taken in the comfort of your hospital room. Bella Baby®1: Talented photographers create beautiful baby pictures that you can cherish forever. You can access your Bella Baby® photos1 online for 14 days by using a protected password. Share your password with select friends and family members who wish to view or order photos of your baby by using a protected password. If your newborn needs medical attention, CDH offers a Level III Neonatal Intensive Care Unit (NICU) with highly sophisticated care. The NICU is staffed with providers from Ann & Robert H. Lurie Children's Hospital of Chicago2, thanks to a unique affiliation between CDH and Lurie Children's. You and your baby have convenient access to more than 140 board-certified pediatric specialists who use the latest child-specific equipment, technology and techniques to treat infants with special needs related to premature birth, low birth weight and other medical conditions. The CDH NICU provides you with an individual room where you can bond with your baby. Each room has controls for lighting, temperature and music, allowing families to create a more personal space within an intensive care environment. For your child's safety, the NICU is locked and secured at all times. Bella Baby®1: View your baby's first photo at Bella Baby Photography.